It’s humid, hot, and dry. That’s how we describe summer here in the U.A.E. 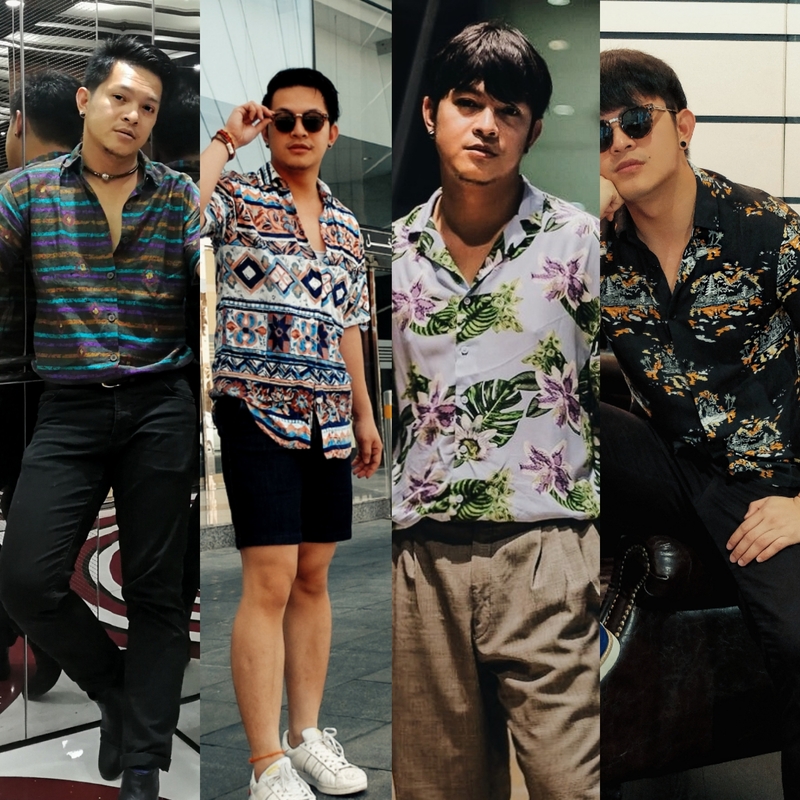 As the mercury rises, you’ll be thinking of dropping your collars and the sleeves of your shirt in exchange of a lighter and cooler tank tops or T-shirts. Don’t worry you’re not alone as I myself is guilty of having that thought as well. To save myself from misery and to avoid looking like I’m always off to the beach, I wore short sleeves Cuban shirt and classic Short Sleeve Shirts to beat the heat. There’s that subtle coolness and the added appropriate dressing when going out, meeting with friends or attending events. As they say …..
Bellow are some of my favorite looks I pulled off this season. Super relaxed Cuban Collar Shirt from H&M paired with a thrift-ed high waist 3 pleats vintage wide leg wool trouser and finishing it off with a pair of Nike Huarache . I went all out casual with this look. Printed shirt with plain black cotton shorts from Forever21/ 21Men and a white Adidas Superstar. Sometimes we have to show some skins and let those legs breathe. One thing I love with this kind of shirts is you can dress them up by just topping a denim jacket. Going out on an evening party? Tucked it In, put some belt and wear it with a Chelsea Boots. Don’t forget to add some accessories for extra flares. This shirt is really hard to pull off but with the right amount of styling you will hit the mark. Make sure that if your TOP is busy, make sure your Bottom half is in solid colors, unless you’re aiming to be a K-POP star.